In a large resealable bag shake olive oil with trimmed asparagus spears. 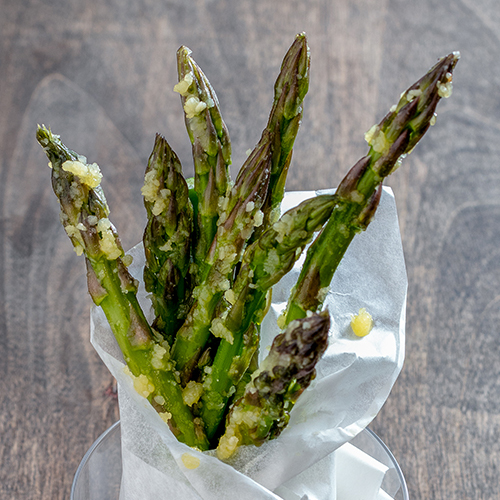 Add grated cheese, salt and pepper then gently massage until the asparagus is covered with all ingredients. Place on a parchment lined baking sheet and bake for 15 minutes until cheese is crisp and lightly browned. Dip into Real California yogurt for a refreshing healthy appetizer.